This is a very clever, and easy to make porta potty design. Good for camping or in a pinch out on the job site; it may also be a good idea to have one as part of your emergency supplies. 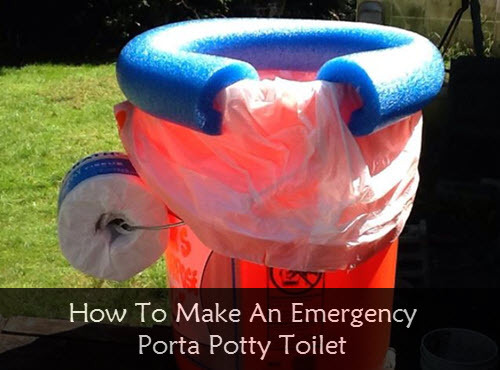 You can make this emergency toilet cheaply with just a few materials.